Groundbreaking affordability. Best-in-class performance. 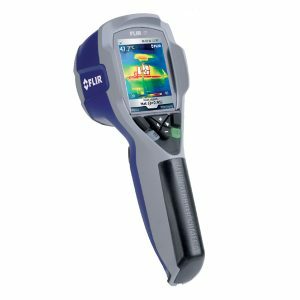 The i3’s 60×60 detector, 3,600 pixel resolution, 12.5° field of view, and low price, make it a practical choice over temp guns for home owners looking to save money on heating bills and contractors looking to find building problems. For a more detailed image and the ability to see more of the scene in one picture, the i5 is a logical choice with an 80×80 detector, 6,400 pixel resolution, and 17° field of view. Insulation specialists, HVAC professionals, and electrical contractors can find a wide array of heat-related problems. The i7’s 120×120 detector, 14,400 pixel resolution, and 25° field of view, provides razor-sharp image clarity, and meets RESNET thermal imaging standard. An ideal choice for energy auditors, building inspectors, and predictive maintenance professionals. Area and isotherm measurement features.